Any premise open to the public : shopping center, museum, hotel, restaurant, amusement park, zoo, local authorities… Must offer to families a way to change a baby safely in a comfortable environment and meeting the highest hygiene criteria. 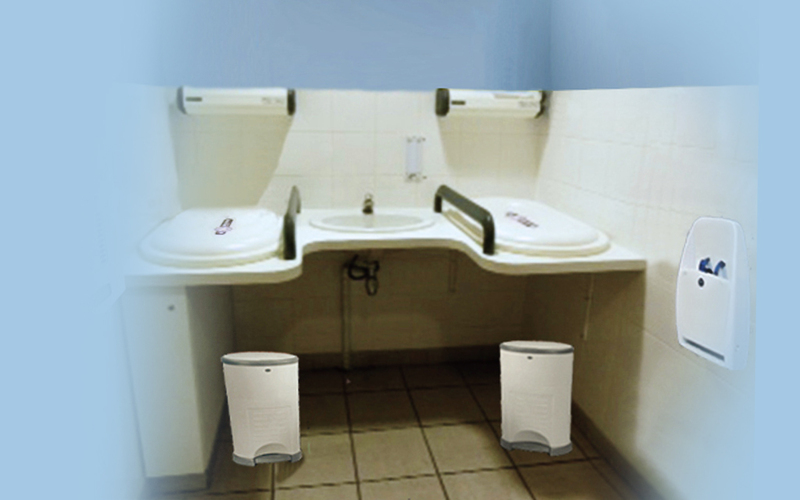 We propose a space composed of a bench mounted changing table to fit a standard work surface, whatever its material, a liner dispenser, a nappy disposal system avoiding propagation of bad smell and possible bacteria or viruses, and a wall-mounted seat to keep second child safe when changing the first. 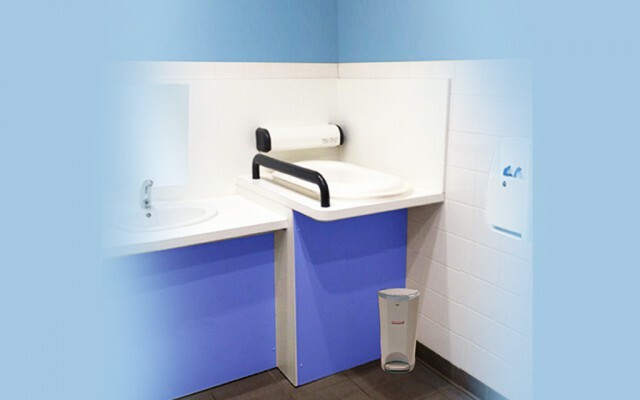 Railway stations, airports and gas stations regularly face one-time influx of users and it is even more important for them to offer the highest standard in terms of hygiene. Therefore, they need to double their capacity of hosting, the ideal baby changing corner is doubled, the volume of nappy disposal system as well and installation of a nappy dispenser is recommended. In a small space, the installation of a vertical or horizontal wall-mounted changing table can offer a secure solution for your customers, visitors or users, but be careful to avoid crossing points. 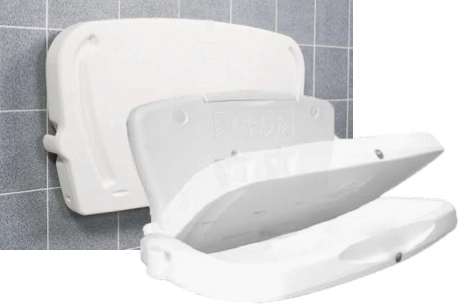 These tables include an easily refillable dispenser for disposable protections but do not forget a nappy disposal system to offer highest hygiene standard. Finally, a wall-mounted safety seat for an elder child during the change of the youngest.